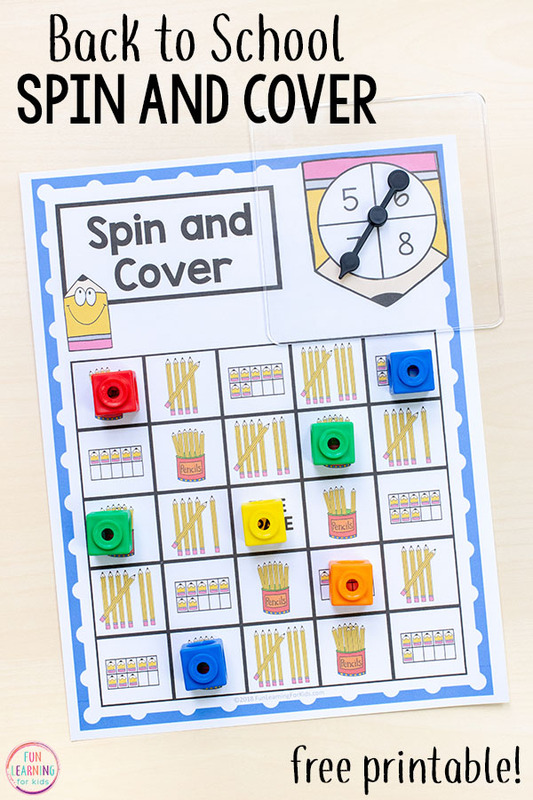 This pencil spin and cover game is a back to school themed math activity that your kids will have a blast playing! It’s print and play so there’s no prep for you. This makes it perfect for math centers or morning work. We are loving these spin and cover mats right now. I love that they are no-prep because it saves me a ton of time. 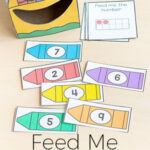 The kids love that they get to play a game while learning math. So we are all happy! 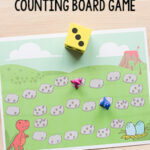 While playing this fun math game, kids will practice counting and subitizing while getting practice with tallies and ten frames. 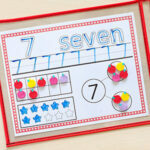 So they are perfect for developing number sense in young kids. 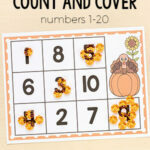 Your kids will have a blast learning numbers while you feel awesome about all of the learning taking place! 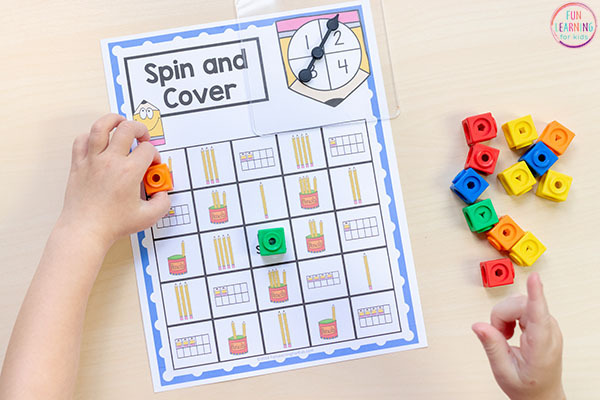 The rules to the game are super simple for kids to understand and the mats go from 1-10, so students at all levels of ability will be able to play and enjoy the fun. 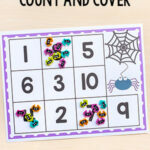 There is a mat for numbers 1-4, a mat for numbers 5-8, and a mat for numbers 7-10. 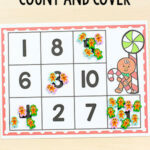 This makes it very easy for kids at various stages to play the same game. 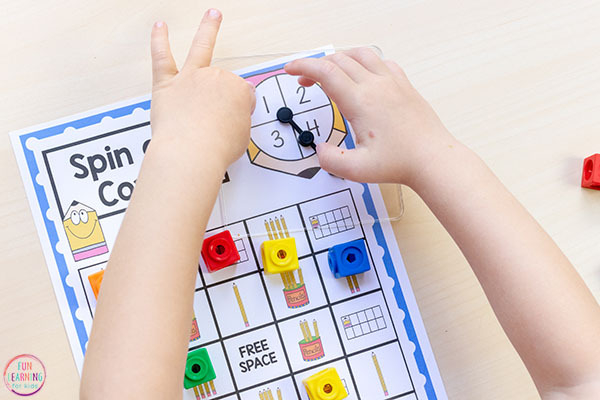 Students who are just learning to count can use the 1-4 mats and students who are more advanced can use the mats with higher numbers. You can find transparent spinners on Amazon. I love them because you can just lay them on top of the mat and they are super easy to use. One of the best things I’ve bought in a while! ** Another option is to just have the kids use a pencil and paperclip as a spinner. Students will place the paperclip in the middle of the spinner on the mat and put the pencil point in the middle of it. Then they will hold the pencil with one hand and spin the paperclip around the pencil point with the other hand. 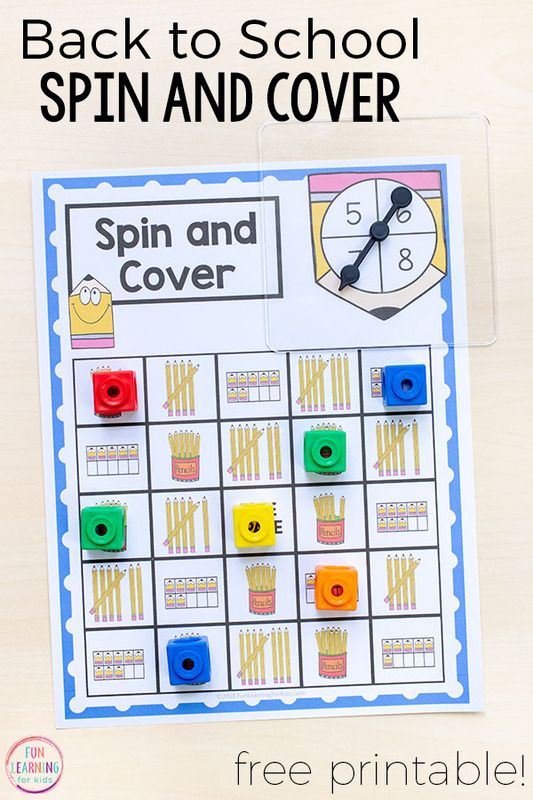 Students can play the pencil spin and cover game independently or in pairs. 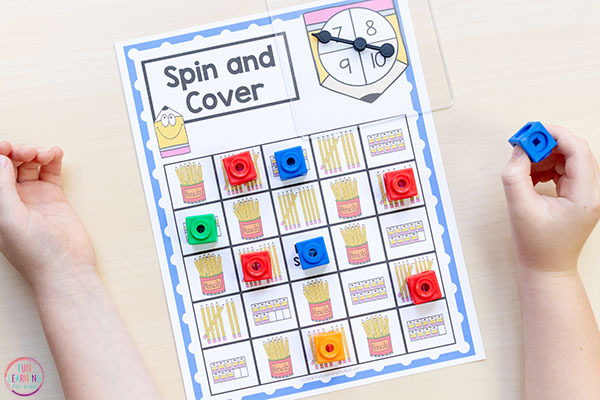 To play in pairs, students will use two different colored markers. They will take turns spinning the spinner and covering a corresponding picture on the mat. The first player to get five in a row, wins! If no player gets five in a row before the mat is full, then no one wins and the players can start a new game. The free space is neutral. Either player can benefit from it – depending on where they are trying to get five in a row. 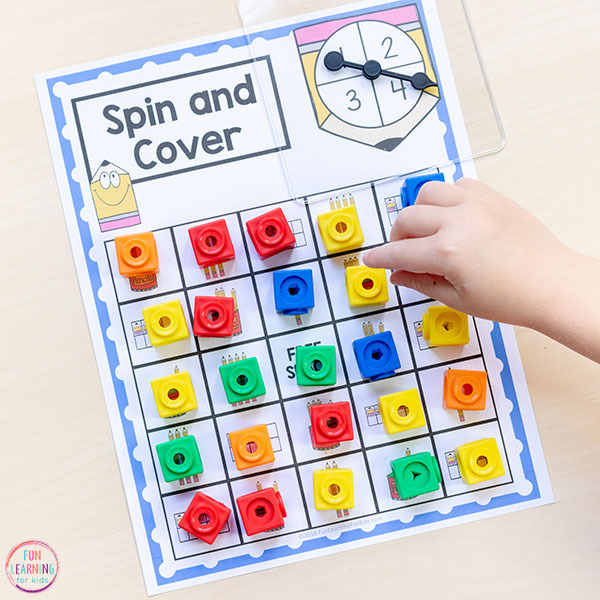 To play independently, students will spin the spinner and cover a corresponding picture on the mat. This continues until they get 5 in a row or until they fill the whole mat – the choice is yours. My kids had a great time playing both independently and together, so we plan on doing it both ways in the future. My 4 year old really enjoyed working on the 1-4 mat and filling up all of the spaces on the mat. My (almost) second grader enjoyed doing the 7-10 mats while playing against someone for the added challenge of having to be strategic. I hope your kids enjoy the pencil spin and cover game too!